Note: This review contains MAJOR PLOT SPOILERS! Readers Beware. 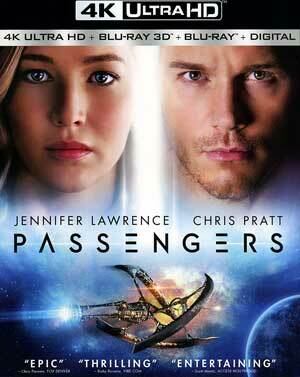 Passengers is more or less Titanic in space. I know I’m not the first to point this out, heck, one of the crew members did so in a supplement feature. And while it was slammed by critics when it was released, I have to admit, I kind of dug the film even if the trailers were, to put it mildly, misleading. The story, set in an undisclosed future, opens on the spaceship Avalon on a 120 year voyage to an un-colonized planet, Homestead II. The 5,000 passengers and crew are in hibernation but when a meteor penetrates the ship’s force field, one such passenger, Jim Preston (CHRIS PRATT), an engineer, is awoken only 30 years into the journey and after finding his bearings discovers there is still 90 years with no way to go back into hibernation. 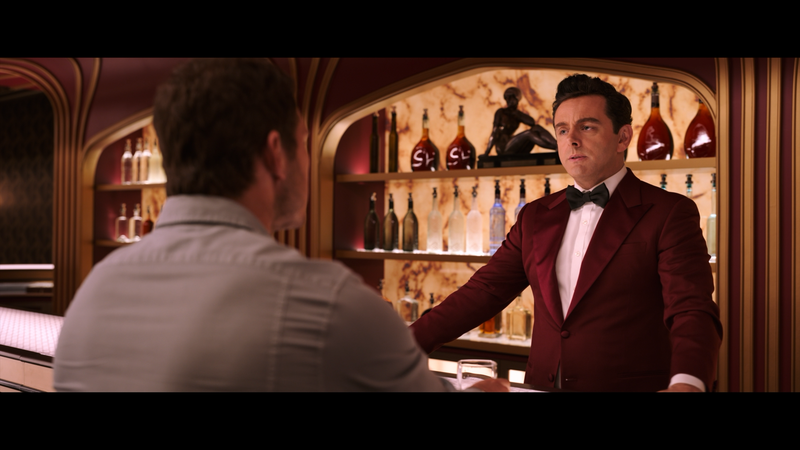 His only friend is an android bartender named Arthur (MICHAEL SHEEN) and after over a year alone, and nearly committing suicide, he comes across the beautiful Auroa Lane (JENNIFER LAWRENCE), a writer, still asleep like the others, watching her bio and reading her work. 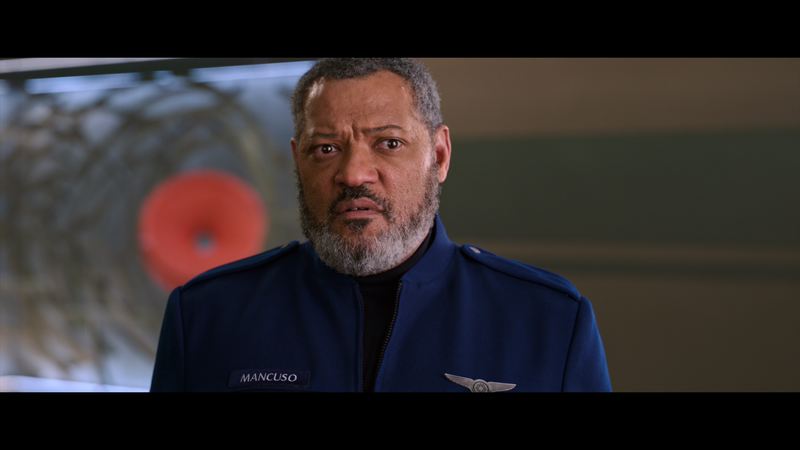 The only other character to appear in any substantive way is Gus Mancuso (LAURENCE FISHBURNE), a crewman who wakes up early and has the access to gain entry into the control room and analyze what is going on as more and more critical systems begin to fail. 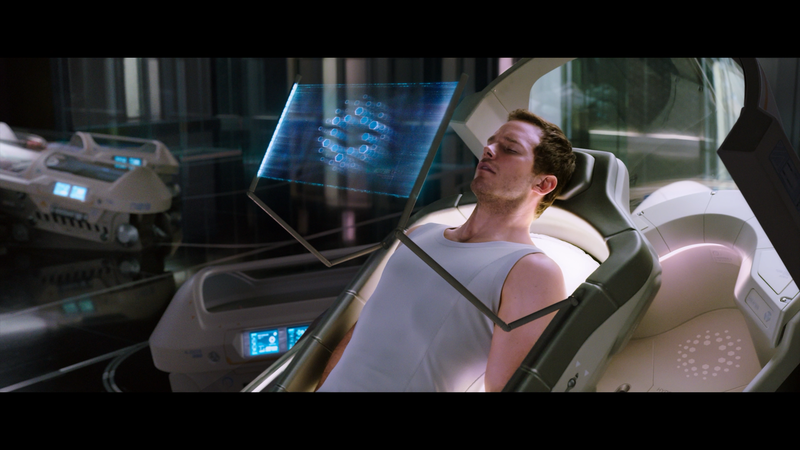 Like I said, I really was entertained by Passengers but admittedly, when it comes to science fiction, I kind of am drawn to more intimate, far from home, storylines like Star Trek: Voyager and the short-lived Stargate: Universe. Like those shows, you have a large ship hurdling through space with absolutely no help if something catastrophic occurs (in fact, in the film, when sending a message, it would take 17 years to receive and 55 years to get an answer!). Here, we only get four characters, though Andy Garcia does receive billing despite only appearing for around 10 seconds and has no dialogue (apparently he had a bigger role for an alternate ending). Chris Pratt proves he can carry a film on his own, as he’s in it for a good 40+ minutes before Jennifer Lawrence enters and with her, the two do share some wonderful chemistry. For his small part, Laurence Fishburne has the immediate on-screen command to make you care for his character and Michael Sheen is delightful as the charismatic robot, dispensing bartender clichés that brings some levity to the film. 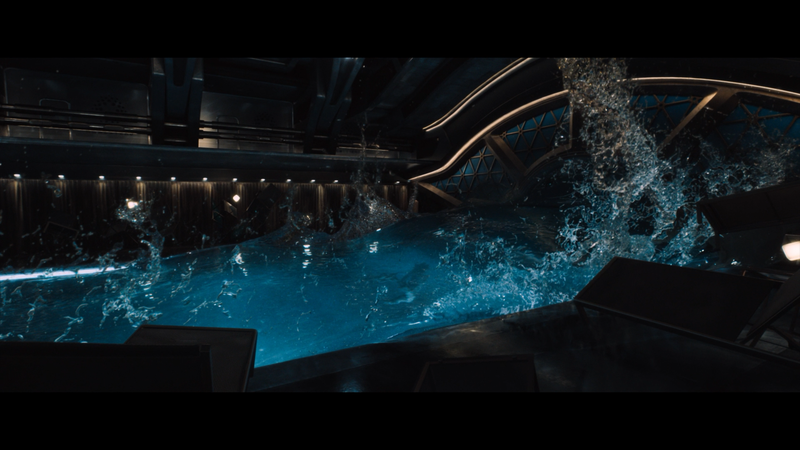 On a technical front, there were some really impressive scenes, the highlight being what I’ll call the Zero Gravity sequence where, in another system failure, gravity is shut down and Laurence, during a swim, is caught when the pool water begins going up, nearly drowning her; it’s a visually grasping shot. 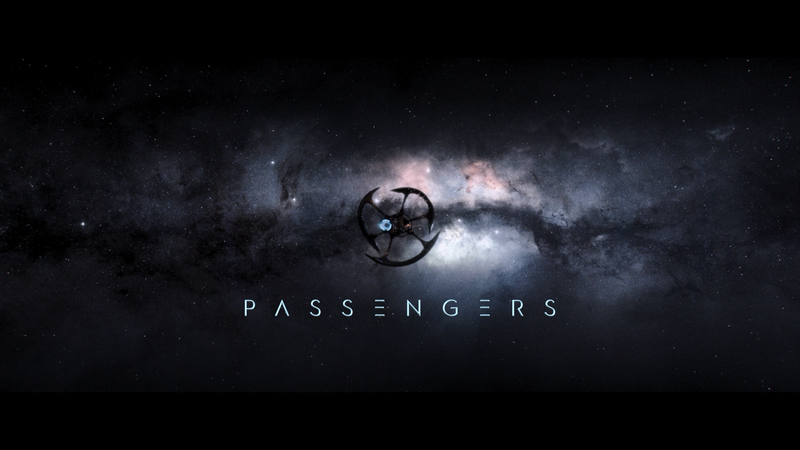 Passengers was scripted by Jon Spaihts which had been gestating over the years going from studio to studio and a variety of actors attached and then unattached (last one I could find was Keanu Reeves and Rachel McAdams; as much as I like Reeves, any semblance drama isn’t exactly his thing) before landing with Sony and a rather large $120 million budget (a good chunk reportedly going towards Lawrence’s salary) for what, when you boil it all down, is a romantic drama. The film was directed by Morten Tyldum who was an unusual choice given his background was strictly drama, his last film being well-received The Imitation Game. And he does a fine job balancing the drama with little bits of comedy to keep it from being too heavy. This 3-disc release (4K, 3D, BD) comes housed in a black HD keep case. Inside is a redemption code for the Digital HD copy. Casting Passengers (10:39; HD) – Chris Pratt, Jennifer Lawrence, Michael Sheen and Laurence Fishburne, as well as filmmakers, discuss their roles and the story. 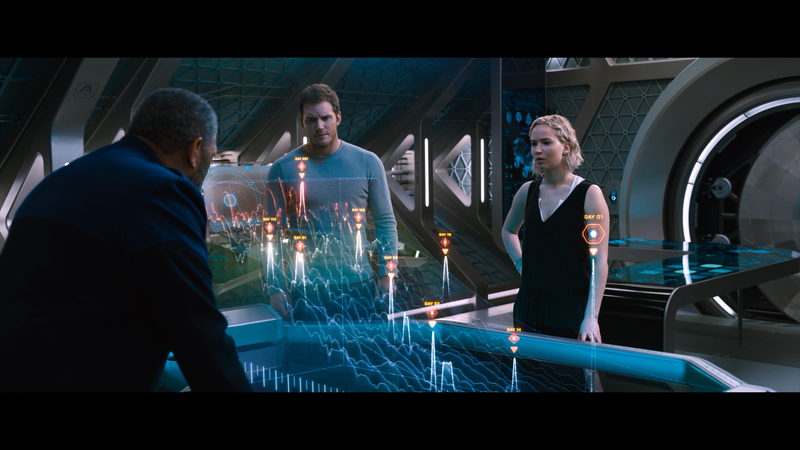 Space on Screen: The Visual Effects of Passengers (7:26; HD) breaks down the effects work done on the film, including the exploration outside the ship, utilizing a box full of LED lights. On the Set with Chris Pratt (4:19; HD) – We get some behind-the-scenes footage with the fun-loving actor with comments by his co-stars. Creating the Avalon (9:35; HD) looks at designing the space ship. Outtakes from the Set (4:23; HD) – Footage of the cast goofing around. Book Passage (4:40; HD) are a series of promotional videos for Homestead. 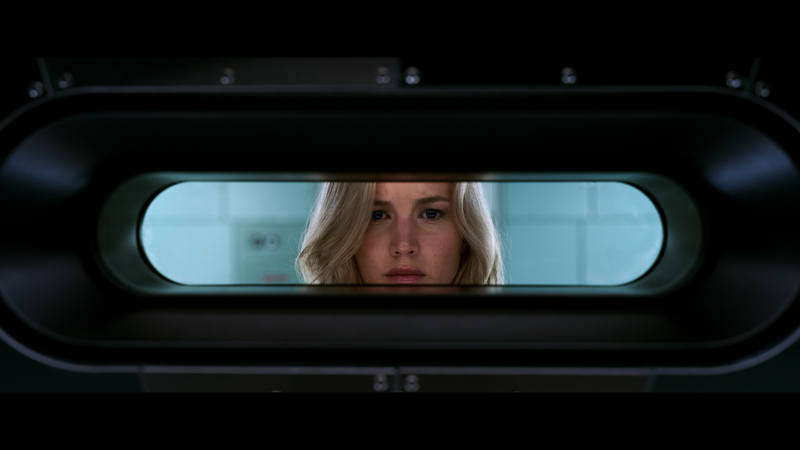 Passengers arrives on home video in no less than three formats, all presented in the original 2.39 widescreen aspect ratio. First up, the 4K release looks absolutely incredible where detail is incredibly sharp, colors and brilliantly bright, dark levels stark and is a great movie to showcase the relatively new format. The Blu-ray is more or less the same as I suspect some might not notice the differences, though this transfer isn’t quite as sharp though still looks great. Now, the 3D, from what I tested (sorry, as much as I like this movie, I’m not watching it three times), going to some of the more what I would think were 3D heavy scenes (like zero gravity or Preston’s journey outside the ship) do look amazing with incredible depth. For whatever reason, the 4K and 3D/BD discs got two different tracks. The former gets the newer and more in-depth Dolby Atmos (TrueHD 7.1 for older systems) as the latter gets a standard DTS-HD MA 5.1 track. Now, for that one, it still sound wonderful but I could immediately sense the difference with the Atmos option as it’s far more encompassing even for a movie that’s probably 85% dialogue. 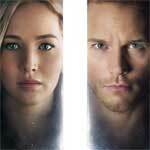 Overall, Passengers might’ve been slammed by critics, was a quasi bust at the box office given its budget and had a misleading marketing campaign, but I for one really enjoyed the lonely aspect of the story that tends to appeal to me and has an interesting premise. This 3-disc 4K/3D/BD/DC release by Sony offers up excellent video and audio transfers (all around) and an okay selection of bonus material (would’ve made it nicer if it included the 25-minutes making-of featurette exclusive to the Target release).